Skill Proficiencies (1st level): You are Proficient in Animal Handling, Stealth, and Survival. Hunter's Strike (Level 1): You may spend a Luck point to gain advantage on an attack roll against a target that is not aware of you or has not acted yet in this combat. Additionally, when using Hunter's Strike you score a critical hit on a natural 19-20. Hunter's Instinct (6th level): Add double your proficiency bonus to Wisdom (Animal Handling) checks. Additionally, you possess an uncanny ability to notice animals and anticipate their behavior. You gain advantage on Wisdom (Perception) checks to spot hidden animals, Wisdom (Survival) checks to follow animal tracks, or Intelligence (Nature) checks to identify rare animals and their abilities. Optionally this is a feat and can only be taken if you have this background and are at least 4th level, additionally gain +1 Wisdom. 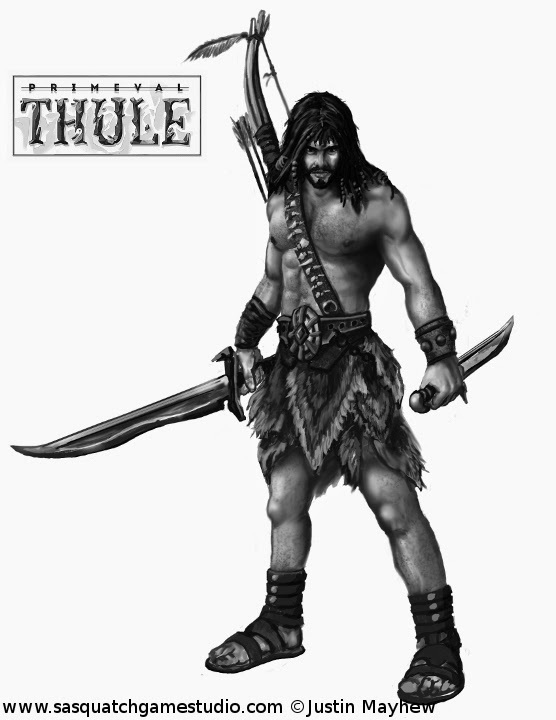 Dhari Chieftain (10th level): You become the chief of your tribe or establish a new tribe of your own. Your tribe numbers a couple of hundred warriors, spouses, and children, and your tribal lands cover about 1,000 square miles. In its own lands, your tribe is almost impossible to locate or attack, and it is quite capable of getting along without you for long periods of time if you continue to adventure. Also, you are so adept at hunting, your experience allows you and your allies to gain advantage on Initiative rolls.